Works with all plug in hybrids and EV including but not limited to: BMW 330e, BMW 740e, BMW i8, BMW X5 xDrive40e, Chevy Volt, Chevy Bolt EV, Chrysler Pacifica Hybrid, Cadillac ELR, Honda Clarity, Mitsubishi Outlander PHEV, Fiat 500e, Ford Evos Hybrid, Ford Focus EV, Ford C-Max, Ford C-Max Energi, Karma Fisker, Kia Soul EV, Mercedes-Benz C350e, Mercedes-Benz GLE550e, Mercedes-Bens S550e, Mercedes-Benz B-Class Electric Drive, and B250e, Prosche Cayenne SE Hybrid, Porsche Panamera SE Hybrid, Tesla Roadster, Tesla Model X, Tesla Model S 70D, Tesla Model S P85D, Toyota Prius Prime, Mini Countryman, Nissan Leaf, BMW i3 REx, BMW E-Golf, Audi A3 Sportback, Audi A3 e-Tron, Hyundai Ioniq, Subaru Crosstrek PHEV, Volvo XC90, Bentley Bentayga Hybrid, and many many more. 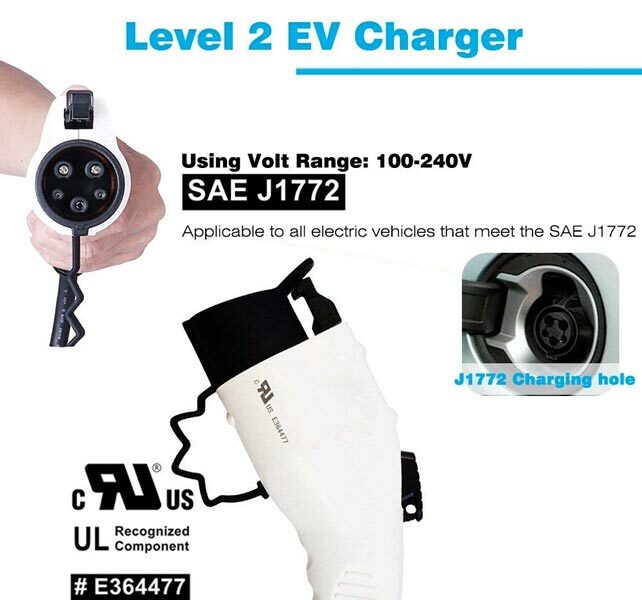 JUST PLUG-IN AND CHARGE: Level 2 portable EV charger. 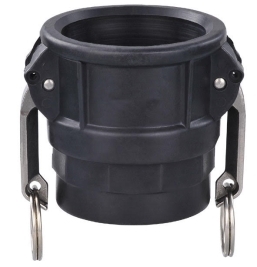 Requires a NEMA 10-50R receptacle socket. UNIVERSAL COMPATIBILITY: Charges every brand of EV on the market. 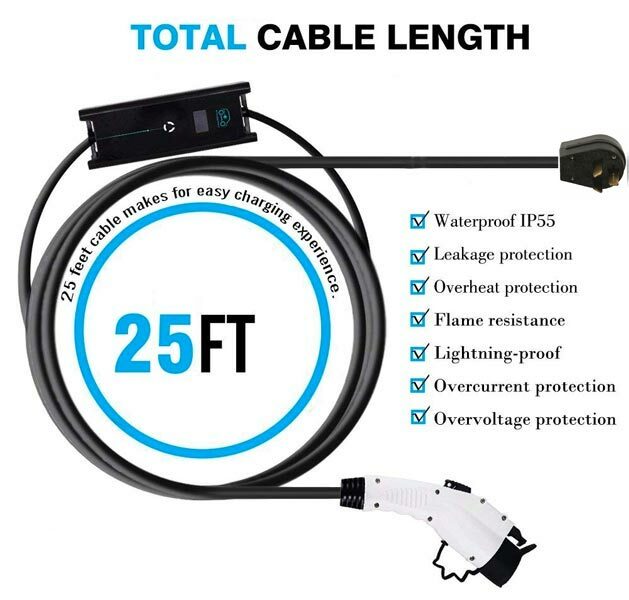 FAST AND EASY: Charges 600% faster than your 120 volt Level 1 cord that came with the car and 100% faster than standard 16 amp Level 2 240 volt charging! Features control box with LED charge status indicators. 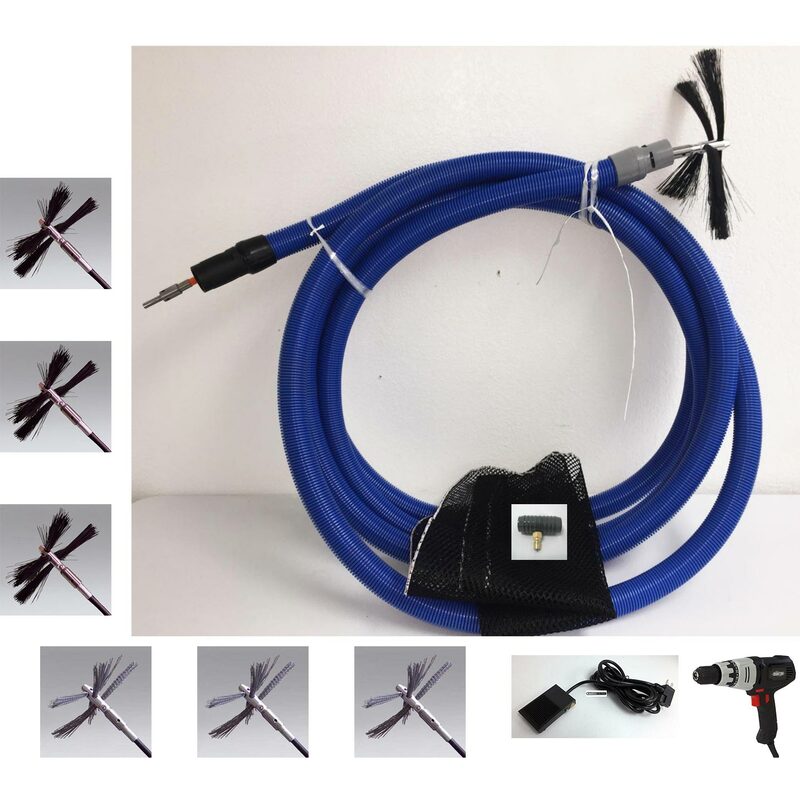 12.8" X 8.9" X 1.5"
Extra Long 7 Meter / 25 ft power cord. Two ways to change charging speed: Key fob (two provided), or shake notification box. 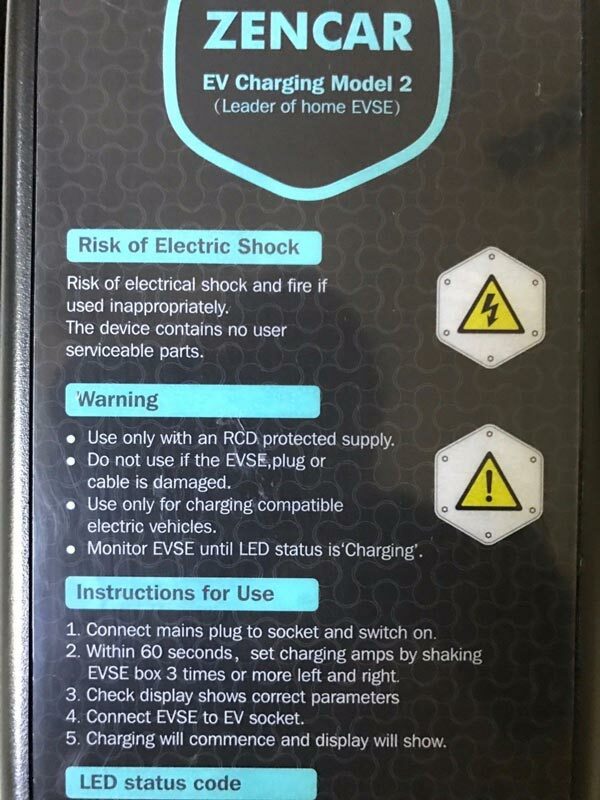 The EV Charge Solutions portable electric vehicle charger is a Level 2 station that delivers 32 amp (7.68kW) through 10 amps (2.4kW) ADJUSTABLE to your vehicle. This is a compact portable station that is an ideal solution for low-cost charging in your garage or to keep in the trunk of your EV for charging at work or on trips. The charging station features a control box with LEDs indicating the status of the charge. There is a description for each light pattern in the product photos above. The charger comes with a draw string bag for storage and a soft gel cap that covers the connector and keeps it from getting wet or dirty. The J1772 charger grip and power cord are water resistant for use in the rain. Please keep the charging box dry. There are 24 inches/ 2 feet of power cord between the male prongs and the beginning of the charging box. The entire unit is made with 25 ft of cord. Including male plug, cord, charging box, and the J1772, the entire system is right at 26 feet long. Why Adjustable and Delay Timer? - See Below at bottom of this web page. Drop Load: 1 Meter / 3.3 ft Impact of external force. Run Over Load: Tested that car can roll over charger nozzle 2 Times! Weight 8 lbs 16" X 12" X 6"
*requires dedicated 240 Volt 40 or 50 Amp circuit / NEMA 10-50R Receptacle. Set to 16 amps @ 240 volts, 24 amps @ 240 volts, or 32 amp @ 240 volt. The more time you have to charge your car, it's best set to the lowest setting. Example, if I have the entire night and can leave the car on charge for 6 hours, set to 16 amps. If traveling and using the optional Reverse10-50R box below, set to 16 amps. If stopping at home for lunch and only have an hour before I leave again, set to 32 amps. If I only have about 4 hours to charge my car, set to 24 amps. 1. 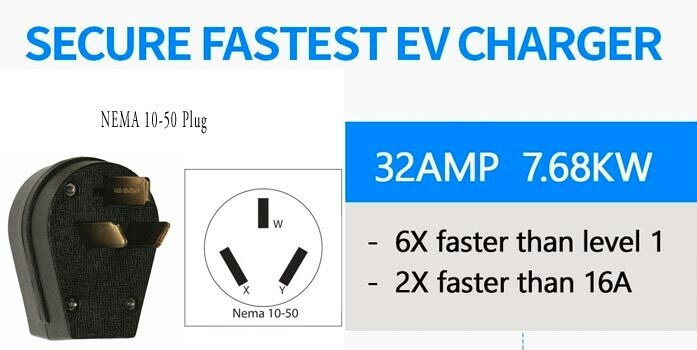 32 Amp @ 240 volt is super fast charging when you need fast charging. 3. Take with you on the go. See below. Set to 16 amp and use the optional converter box below. Optional: No Electrician Required to Move Up To Level 2 Charging! Adjustable to use with this power box. Change setting to 16 amp @ 240 volt and take with you. Charge at work, friends home, traveling, anywhere standard 120 volt wall outlets are available! Plugs into every building in USA, Canada, Mexico, and Japan and makes 240 on the go and Level 2 speeds! 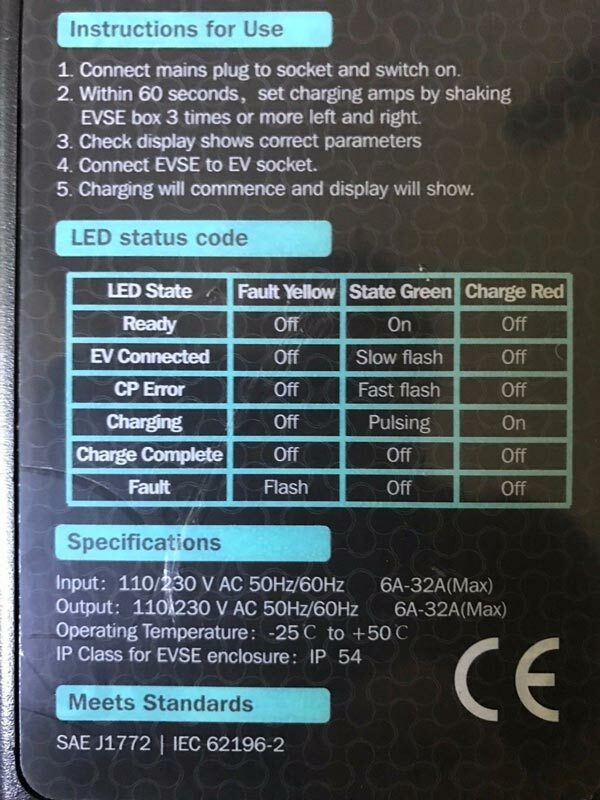 As for the function of shaking to change current/amps, it is only valid during the first minute once connected with power. 1. Plug in the male wall plug in the socket to connect power. 2. 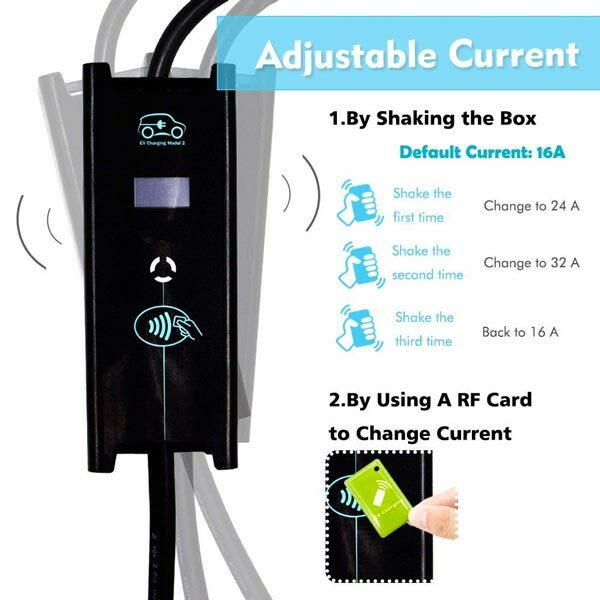 If amperage change is needed, shake or use swiping card to change amperage within the first minute. 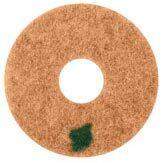 The current has memory of its last use. Example, if it was set 24A last time, it would start at 24A this time. 3. Then plug in the J1772 Plug in the car. Please noted if connected with the car, the shaking function can no longer be used. The charger includes timer delay function. After this, you'd better to swiping card to set timer function, Here I attached the user manual of how to use timer function as following: After on minute, the amperage speed is set. Then use the RFID card to set a optional delay timer before the charging starts. Note, in some locations electricity is cheaper later in the middle of the night. The timer function has to be set after the J1772 Plug plugged in. Setting the delay timer can be used to reduce the charging cost! 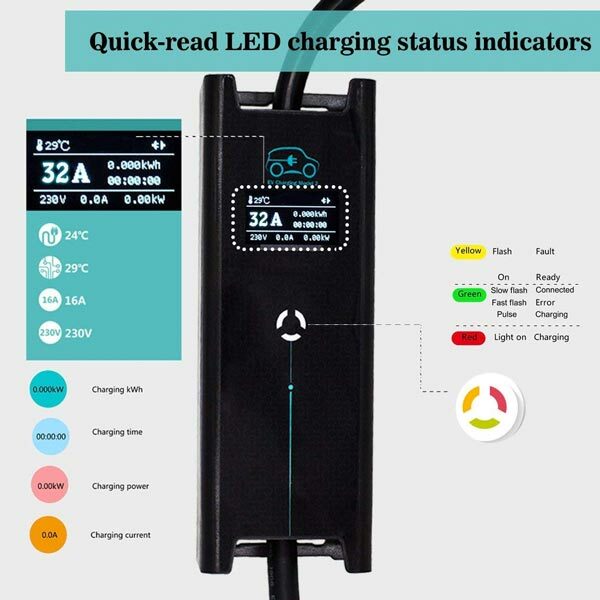 Steambrite's Electric Car Chargers - Electric Vehicle Level 2 EV Charger 240V 32 Amp ADJUSTABLE 25ft NEMA 10-50 Portable EVSE Zencar Home Charging Station FREE Shipping 20181013  is . 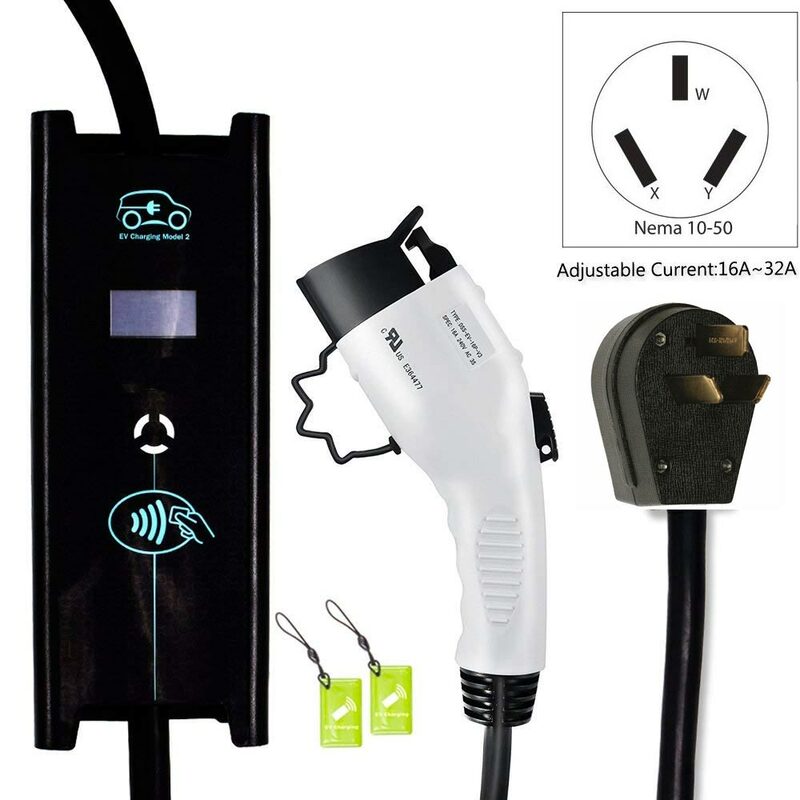 Steambrite will ship the Electric Vehicle Level 2 EV Charger 240V 32 Amp ADJUSTABLE 25ft NEMA 10-50 Portable EVSE Zencar Home Charging Station FREE Shipping 20181013  by either Fedex or Freight Quote, and are normally shipped within 1-10 working days. Please remember it takes 6-8 working days for you to receive your order after shipment, and ground shipping times are not guaranteed. Next day and two day service are available. Click here for our full shipping policy. Specifications subject to change without notice. Steambrite's Electric Car Chargers - Electric Vehicle Level 2 EV Charger 240V 32 Amp ADJUSTABLE 25ft NEMA 10-50 Portable EVSE Zencar Home Charging Station FREE Shipping 20181013 .